My research is described in the Electronics Research Group site (ERG Pages). Gorry Fairhurst received his first degree in Applied Physics and Electronics from the University of Durham, UK, and a PhD in Communications Engineering from the University of Aberdeen, UK. He joined the University of Aberdeen academic staff after working with Prof. Tim Spracklen as a post-doctoral fellow with a range of projects on networking via satellite funded by the UK Satellite Communications Centre, Defford, UK. He is a Professor in Electrical and Electronic Engineering at the School of Engineering at the University of Aberdeen, his research is in Internet Engineering. 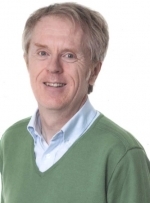 He has published more than 200 papers on topics in broadband and broadcast satellite, TV/video transmission, IPv6, IP multicast, X.25, together with work on Internet measurement, protocol architecture and Internet transport mechanisms. He is an active member of the Internet Engineering Task Force (IETF) where he chairs the Transport Area working group (TSVWG) and contributes to the IETF Internet area. He previously chaired the IPDVB and DCCP working groups. He has authored more than 25 RFCs with over 150 citations within the RFC-series, and currently works on standards in the TSVWG, TAPS, and TCPM working groups, as well as contributing to groups including: QUIC, PANRG, and MAPRG. In previous years, he contributed to ETSI standardisation and the DVB Project, working on encapsulation and Higher Layer protocols for DVB-RCS2. He was a co-leader of the Future Internet working group in the EC ISI European Technology Platform, and a partner in European research projects funded by the EU, ESA and industry. He contribute to the School’s General Engineering programme of research-led teaching, and is the Academic Line Manager (ALM) for EEE staff. He coordinates the research across EEE staff. Internet Engineering, where research includes analysis of control mechanisms for transport. link, and Internet protocols. A mixture of industry and science funding includes: rate-adaptive transport for multimedia, TCP and QUIC transport, Explicit Congestion Notification (ECN), Internet capacity sharing, and low-latency services. Internet Measurement and Protocol Design, which includes the specification of protocol architecture and large scale measurement campaign exploring Internet path characteristics. Satellite Internet, with a long track record of working on IP over satellite, and satellite broadband delivery and link standards for IP transmission over DVB. I participate in the Satellite Network of Excellence. Video transport, I engage in research on Internet TV, characterisation of DASH performance, and TV transport architecture. I retain a great anticipation for IP multicast deployment, and have been an enthusiastic advocate, user, and experimenter for multicast transport. Cross-disclipinary research including work with geographers, social scientists and other discplines on topics including broadband access, sensor network design, video streaming, and specific control communications. I perform my research within the Electronics Group (ERG) in the School of Engineering at theUniversity of Aberdeen (UoA) is a part of the Electrical and Electronics Engineering Research Group. My research has favoured a blend of simulation/measurement and protocol design. I have worked for many years with IPv4 and IPv6, especially over challenging links with research in the development of new protocols, implementation of link-specific enhancements, testing and assessment of network performance. Current work includes IP transport protocols for QUIC, Internet Television (IPTV), TCP evolution, the use of ECN, use of DiffSev, and the support transport and services. Research includes implementation (in Linux/BSD), large-scale measurement and satellite services. This work is linked to standardisation in the IETF. I have a long-running activity in multicast deployment (IPv4 and IPv6), working with projects on routing and multicast transport. Work in satellite communications has a focus on the IP interface, with work on the GSE specification, IPv6 over satellite, transport protocol optimisation and DVB-RCS systems. and contributing to specifications published by the Digital Video Broadcast (DVB) Project. I currently am evaluating QUIC over satellite. Fairhurst, G., Secchi, R. & Yun, A. (2013). 'A flexible QoS architecture for DVB-RCS2'. International Journal of Satellite Communications and Networking, vol 31, no. 5, pp. 219-232. I participate in research projects at the UK national level and in European research projects. Since 2004, my research group has been a member of the prestigious European SatNEx Network of Excellence, which brings together 22 leading European research establishments in the satellite communications field, and within this, he leads the work on Standardisation. ERG participates as an experimenter and contributor in the MONROE measurement platform. Over the years my research has been funded from a range of sources including: EPSRC, European Space Agency (ESA), European Commission (EC), private companies (e.g., Astrium, Inmarsat, QinetiQ, Thales, Delta Communications), and UK government agencies (e.g. DSTL, BNSC, RSRE, DERA, BIS). I have been an invited speaker at many professional and research meetings on TCP/IP, broadband standards, and the future evolution of the transport service for the Internet. I am part of the team delivering the annual professional Satellite Communications Course by the IET at Savoy Place, London.